Syrian regime troops have for weeks been massing on the edges of the province which borders Turkey, raising fears of another humanitarian disaster in Syria's seven-year conflict. The Britain-based Syrian Observatory for Human Rights said Tuesday that at least nine civilians were killed in Russian raids on Tuesday. But Moscow on Wednesday said the strikes targeted the "terrorist" Al-Nusra Front. 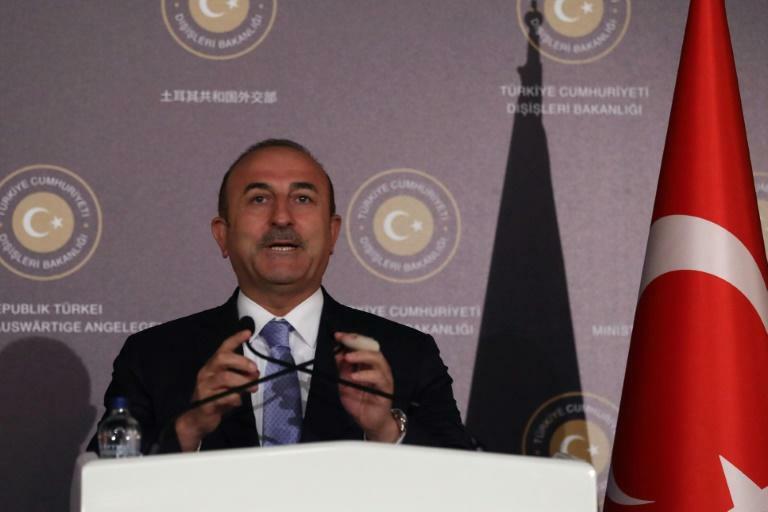 Ankara wants to "prevent attacks on Idlib", Turkish Foreign Minister Mevlut Cavusoglu said during a press conference with German counterpart Heiko Maas. "After the raids, there had been talks between our relevant institutions. We clearly told Russia these attacks were wrong," Cavusoglu said. Idlib is one of the so-called "de-escalation" zones set up as a result of talks by Russia, Turkey and Iran last year as Damascus regained control of more of the country. "From the day that it was clear there could be an attack on Idlib, we have been working hard to prevent the regime violating the ceasefire and to stop the attacks on Idlib," Cavusoglu said. He added that the regime of Syrian President Bashar al-Assad wanted to take control of the province, and used the presence of jihadist groups as a "pretext". Idlib is dominated by jihadists of the Hayat Tahrir al-Sham (HTS) alliance, but in the past few years has taken in tens of thousands of rebels and civilians evacuated from other areas recaptured by the regime. Turkey, which backs rebels fighting against Assad, has held several rounds of talks with Russia aimed at averting an assault on Idlib. "We can work together to render those (radical groups) ineffective. The solution is not to bomb or attack all over Idlib, without any distinction," said Cavusoglu. "We don't find it correct that the (raids) happened before the Tehran summit," referring to the three-way summit of the presidents of Turkey, Russia and Iran on Friday. "We will continue our efforts to prevent it. 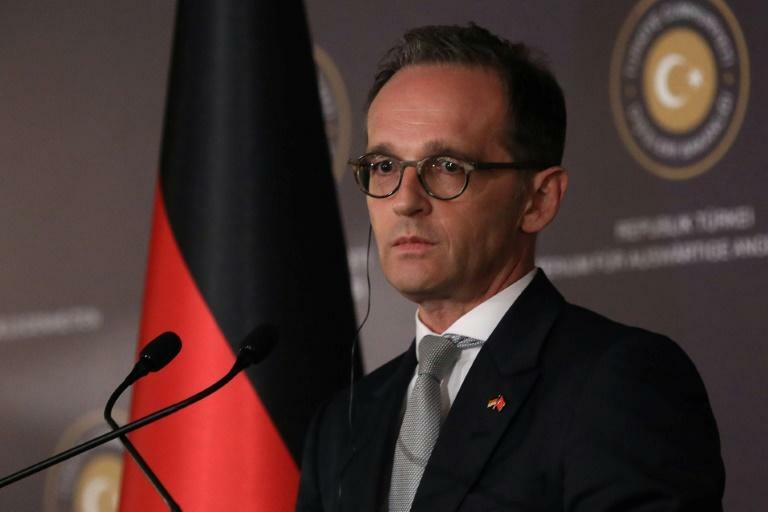 Turkey is possibly better prepared than others to weigh in on these developments," the German minister said. Maas was in Ankara on Wednesday as the two countries seek to improve relations which have soured since the 2016 failed coup in Turkey, which resulted in a government crackdown on the opposition. Maas met with Cavusoglu and Turkish President Recep Tayyip Erdogan in Ankara earlier in the day. Germany's links with Turkey are of greater significance in Europe since three million ethnic Turks live in the continent's biggest economy, the largest diaspora abroad and a legacy of Germany's "guest worker" programme of the 1960s and 70s. "For Germany, Turkey is much more than a neighbour. We have strong economic relations, we are partners in NATO," Maas said. Germany-Turkey relations improved recently especially after Ankara last month lifted an overseas travel ban on German journalist Mesale Tolu on trial on terror-related charges. Although there have been releases of jailed Germans including well-known journalist Deniz Yucel, seven German citizens remain in prison for political reasons. Maas said the ministers had spoken about the imprisoned Germans "openly and have agreed to remain in contact". Cavusoglu however said: "There cannot be conditions or bargaining in a normalisation... we will continue to work in order to normalise ties in every field."